Unions representing Ryanair's roughly 1,800 cabin crew in Spain have called off a 24-hour strike planned for Tuesday, but said they will go ahead with other work stoppages. Strike action planned for Thursday 10 January and Sunday 13 January will still go ahead. Last month, the USO and Sitcpla unions called the three 24-hour strikes because the airline had failed to reach agreement with them during mediation on improving work and pay conditions. 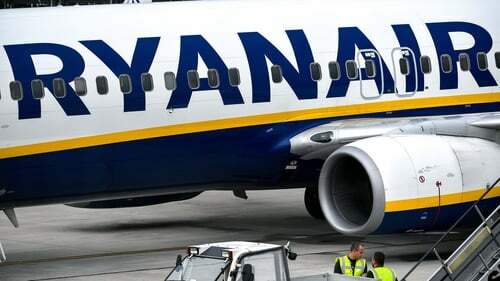 However this evening the two unions called off the industrial action planned for Tuesday after holding talks in Madrid with Ryanair representatives, which has faced a wave of strikes in several European countries in recent months. Ryanair only began recognising unions for the first time in its 30-year history in December 2017, to avert mass strikes during the busy Christmas period. In July, strikes by cockpit and cabin crew disrupted 600 flights in Ireland, Belgium, Italy, Portugal and Spain, affecting more than 100,000 customers. Then on 28 September, cabin crew walked out again in Germany, Belgium, Italy, the Netherlands, Portugal and Spain, and in some countries pilots' unions also took action. The airline has so far managed to clinch labour agreements with staff in several countries including Britain, Germany, Portugal and Italy.